This wallpaper post for kid’s rooms is one that I’ve been excited to write for awhile. Wallpaper is probably the item my clients debate about the longest, with some skipping it altogether because it feels daunting, even permanent. I’m here to tell you that it doesn’t have to feel that way! In my opinion, wallpaper can truly be the one item that turns a really good room into something exceptionally GREAT! Without a doubt, wallpaper is impactful and memorable. It sets the tone of the entire space as you walk in. I can still remember the bold floral orange and brown wallpaper in my parents’ bedroom growing up and while it may no longer be something I would choose for my own home, it brings back lovely memories of crawling in for snuggles when I was little. 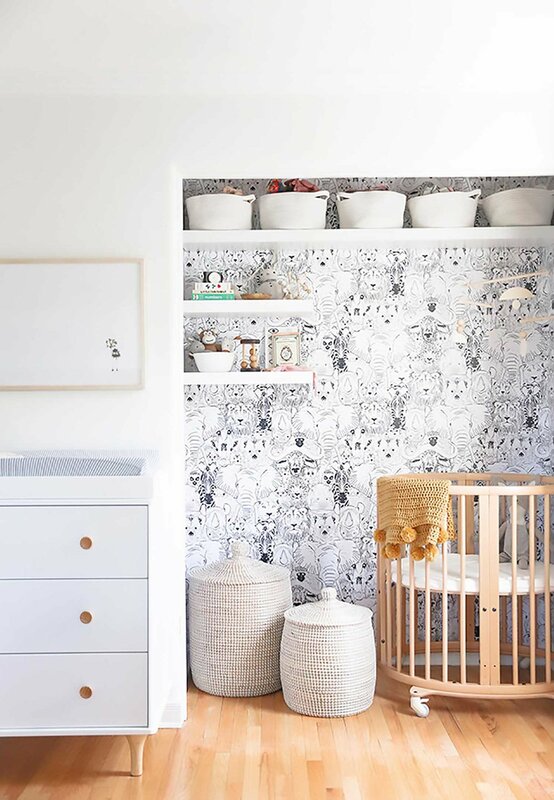 Wallpaper evokes a feeling; it screams FUN, adds a layer of texture and above all else will create memories in your children’s minds for years to come. If you are ever in doubt, I say go for it! Thankfully modern wallpaper is much simpler to remove than in years past if you ever do change your mind. 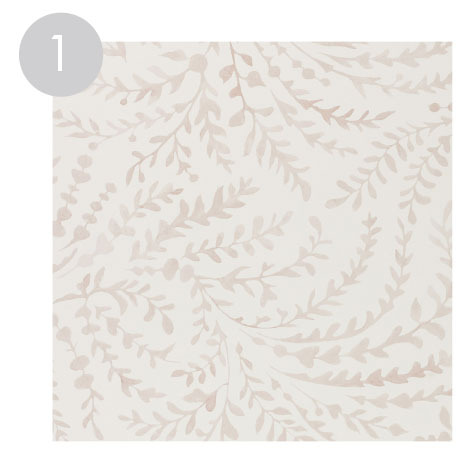 When it comes time to actually choose a paper, ALWAYS order a sample first so you can feel the paper, see if it’s wipeable (ideal for toddler spaces) and check for any shine or texture which can be SO much prettier in real life than in the photos. The colours and the texture truly has to be felt before you buy. By ordering a sample first, it also proves useful to keep in your purser for matching paint and other decor items as you shop. 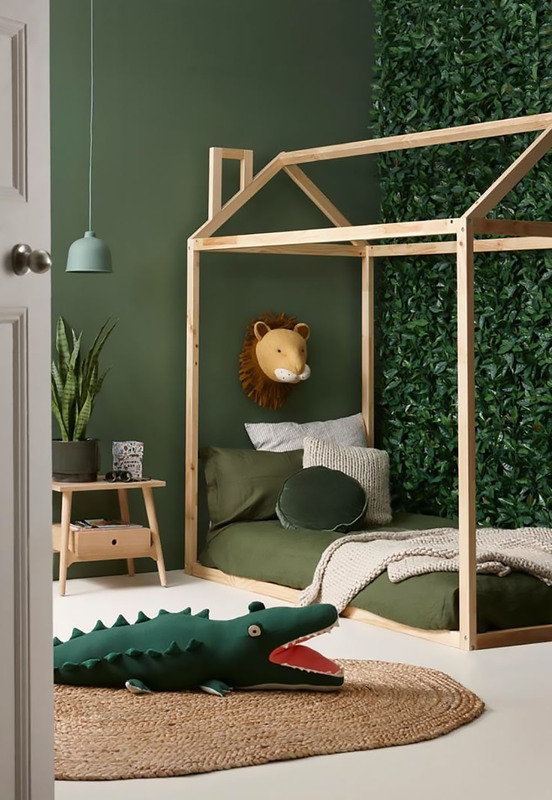 Without making you wait any longer, here are 15 of my favourite wallpapers for kids that will prove beautiful if you decide to use one in your baby nursery, kids room or even playroom. Click on any image to see where to shop it!